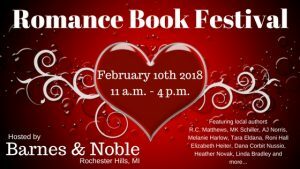 Come meet local romance authors and support the Oakland Literacy Council. A percentage of all proceeds from book sales will go to the OLC if you use this voucher. You can also buy online at www.bn.com/bookfair , just use code 12306254.